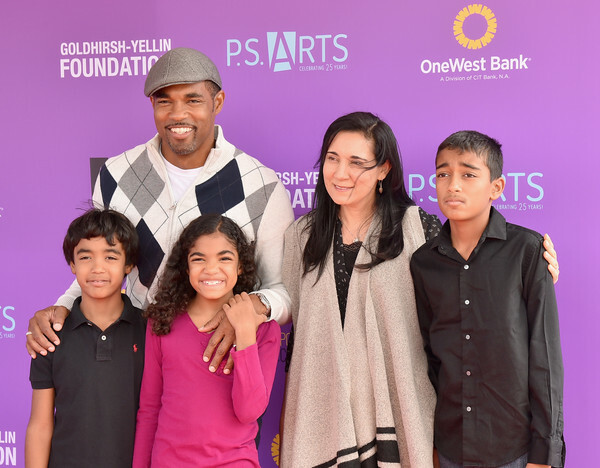 Jason George is an American model and actor with over 50 primetime television guest roles. The classically trained thespian is a prominent TV face popular for his roles on Sunset Beach, Eve, and Grey’s Anatomy. From a kid who debuted in a soap opera, George has grown to become an elder statesman in the industry and prefers to describe himself as a journeyman actor. He was born on February 09, 1972, into a military family in Virginia Beach. Though he initially hoped to pursue a career path in law, he eventually discovered his interests while in college. In 1994, he obtained a double major Bachelor’s degree in Rhetoric and Communication Studies and Drama from the University of Virginia, and later a Master of Fine Arts in acting from Temple University. He debuted his acting career in 1997 on Aaron Spelling’s Sunset Beach where he portrayed a lifeguard, Michael Bourne. Jason played the role on the series from 1997 to 1999. His work on Sunset Beach earned him a Daytime Emmy nomination in 1999. Thereafter, George worked in movies and more TV, advancing from guest appearances to a regular series star in several shows, including the FBI drama Without a Trace (2005), Eve (2003), Grey’s Anatomy (2005), Eli Stone (2009), the short-lived Off the Map (2011), and Mistresses (2013), among many others. On ABC’s medical drama Grey’s Anatomy, the beloved hit created by Shonda Rhimes, George played the role of a top anesthesiologist turned surgeon and husband to Dr Miranda Bailey (Chandra Wilson). After seven seasons, he joined another Shonda Rhimes hit – ABC’s Station 19 (2018), which is a Grey’s spinoff focused on a group of heroic firefighters at Seattle Fire Station 19. Jason has some credits on the big screen including Clockstoppers (2002), Barbershop (2002), Witches of East End (2013), and With This Ring (2015). George is married to Vandana Khanna, an Indian-American poet and author. The couple met during their college days at the University of Virginia and got married in 1999. They have three children together, Jasmine and twins Arun and Nikhil. George and his wife had a horrifying near-death experience when Vandana was pregnant with their twins. Just like one of the dramatic scenes on Grey’s Anatomy, an SUV ran a red light and T-boned their car while Vandana was 8.5 months pregnant. Consequently, the twins were born by an emergency C-section following the car accident. Thankfully, both mother and babies survived the scary accident. According to the couple who have been together since college, the key to their successful marriage is ‘fighting fair’. George and his family live in their 3,400-square-foot home in Studio City, California. Khanna is a New Delhi native but raised in Virginia. She is a poet with several poetry prizes to her credit. Some of her published works include Train to Agra (2001), Afternoon Masala: Poems (2014), and The Goddess Monologues (2016). Throughout his over 20-year career, the Emmy-nominated actor has managed to charm audiences on television, film, and on the stage. Jason George is also a model who has established himself as a household name, earning money from his modelling career as well. His current net worth is estimated at $1.5 million. Apart from his acting and modelling career, Jason is also a political activist and philanthropist. Off the stage and camera, he tries to give back to the acting community by heavily supporting his fellow actors. He leads a workshop for actors and serves charitably for various establishments. As far as we can tell, he has served on the Frank Nelson Memorial Sick and Benefit Fund as well as the National Boards of the Screen Actors Guild and the American Federation of Television and Radio Artists (SAG-AFTRA), a union that represents people of varying professions in the entertainment world. Through SAG-AFTRA, George has been promoting best practices for diversity in film and TV. While he has led most of these unions, he notably chaired the National Union’s Diversity Advisory Committee. The Virginia Beach native has a passion for educating and engaging other artists and young people. The Grey’s Anatomy star has an athletic build and stands at 5 feet 9 inches. 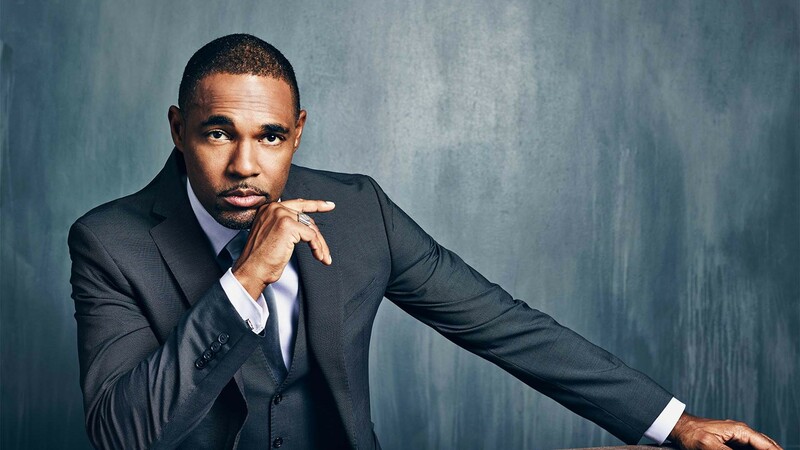 Jason George has always been comfortable with his body; he maintains his physique through a healthy diet and physical regimen that ranges from weightlifting to boxing, as well as martial arts, yoga, and even dancing. We are yet to confirm other details of his body measurements.